Mind you, this is just a teaser and the full video of the 2019 Skoda Kodiaq RS going round the Green Hell will be released tomorrow. But even this teaser is enough for you to realize the beefed-up Kodiaq is a plucky little thing capable of delivering a thrilling drive. Of course, it remains to be seen if it’s also a fast drive when the lap time is revealed, but this is, after all, a mid-range performance SUV. So you can’t expected mind-boggling performance. The engine powering the Skoda Kodiaq RS is a four-cylinder turbo, but the word is it’s actually a diesel, which would be interesting. 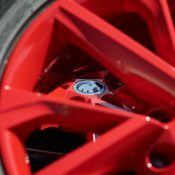 The car also boasts a body kit that sets it apart from regular models and some fancy new wheels, painted red on the prototype. The Kodiaq RS remains a family friendly SUV, though, in spite of all the performance paraphernalia. It has seven seats and the latest convenience and connectivity features. Known as something of a Nordschleife expert, Sabine Schmitz is familiar with every one of the 73 corners and 300m of hills across the legendary 20.832-km-long circuit in the Eifel region. Schmitz is the first and – to date – only woman to have won the famous 24-hour race there and was an obvious choice to pilot the family-friendly seven-seat performance SUV to the finish line in record-breaking time. 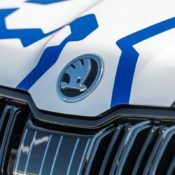 The post 2019 Skoda Kodiaq RS Teased at the’Ring with Sabine Schmitz appeared first on Motorward. 2019 Skoda Karoq Scout Looks Kinda Dope!